With "Hemstitch Trim Border" . 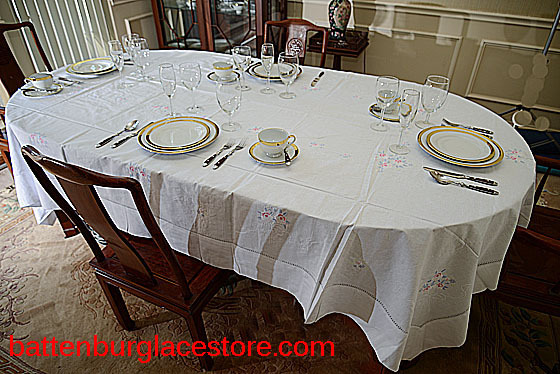 Irish Rose Style 18 inches square dinner napkins $36.00 per dozen. Fancy 18" Square placemats with 2" hemstitch trim border. Irish Rose Style 18" napkin with "Hemstitch Trim Border"
There are four roses in this special design napkins, roses at each corner. Regular dinner napkin 18" square, with a plain border. Irish Rose Style 18" dinner napkin. This is the regular dinner napkin, has only one rose on this napkin.